The holidays are in full swing at the Sweeney Building. The kitchen is full of calorie-packed snacks of all kinds, the candles are in the windows, the tree is up and trimmed, and the cards are signed, sealed, and close to being delivered. Despite all the festivities taking place in the present, we took a little time to reflect on holidays past. 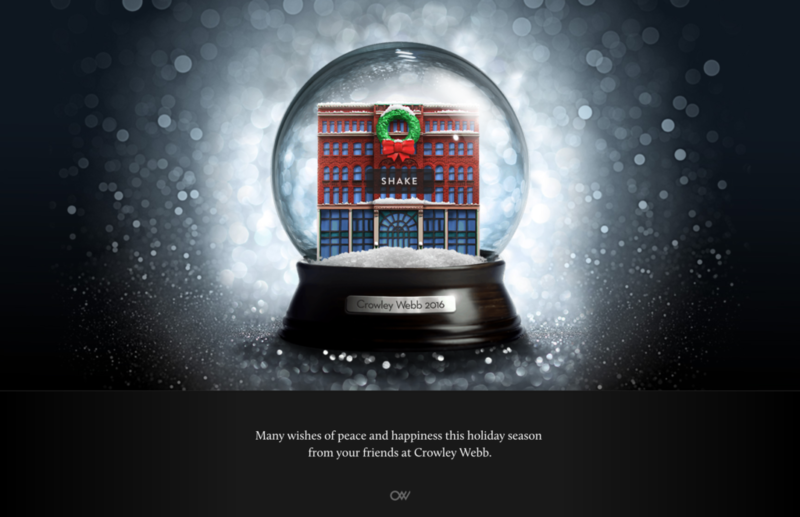 We collected some snaps of our favorite memories and put them in a special little virtual snow globe. Head on over and give it a few shakes to see what’s closest to our hearts here at Crowley Webb. And of course, the happiest holiday wishes, from all of us to you.